I skimmed over this verse at first. How many times are my prayers limited to a laundry list of my OWN struggles/wants/needs? How many times are they just a list of “bless so-and-so”? 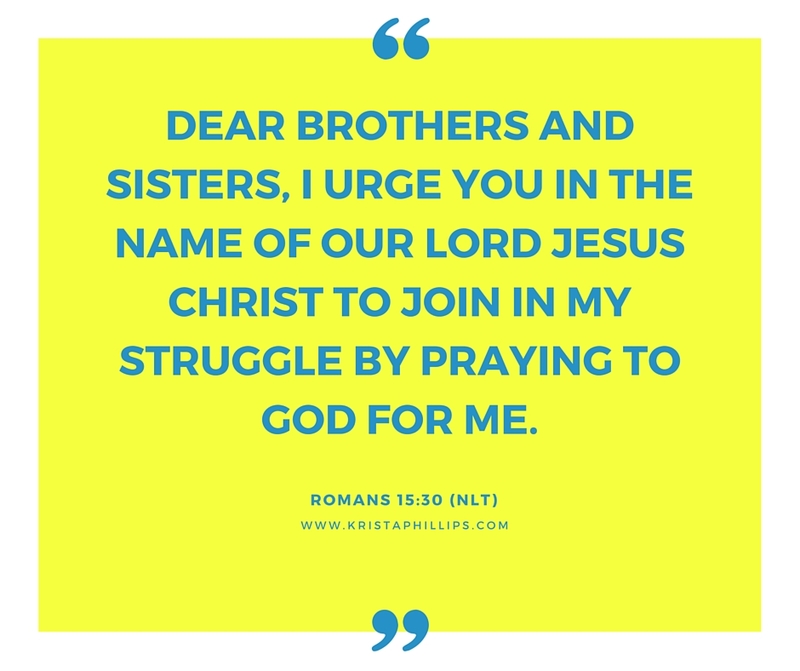 Do I truly stop and “join in the struggle” of those around me through prayer? Do I remember to join in the “struggle” through prayer with my church, my pastor, missionaries around the globe?